Despite the slowdown in tablet purchases projected by market research firm IDC, the demise of the tablet has been greatly exaggerated. Especially since you can easily find the right one to fit your needs. Fortunately, Samsung has a wide range of tablets in its product catalogue, each touching on a specific user need while also touting additional attractive features. Starting things off are Samsung’s cost-effective entry-level tablets. These are able to take care of a user’s basic tablet needs, while also not costing too much. Naturally, this makes them ideally suited for use as an educational tool. One of several standout models available from Samsung is the 9.7″ Galaxy Tab A. It places an emphasis on two main aspects: the display and battery life. The 9.7”, 1 024 X 768 display is nice and big, but not so big that it’s unwieldy for younger users. Added to this is a 6 000mAh battery that serves up an estimated 15 hours of usage – enough to last through a school day and then some. There’s an S Pen stylus thrown into the mix, which means users can experiment with drawing and design too. Next up, for the type of user that wants a tablet capable of doing everything well, but perhaps does not carry a flagship price tag. Ticking both of those boxes is the Galaxy Tab S3, once Samsung’s top-of-the-line tablet offering, but which has been superseded by the Tab S4. That does not mean that the S3 is obsolete in any way; very much the opposite. Its excellent price as well as the sumptuous 9.7″ (2 048 X 1 536) screen make it the Samsung tablet of choice for the business user / consumer looking for a versatile tablet for everyday use. The Galaxy Tab S3 is not only handy at work, but it’s also great for surfing the web and enjoying videos and movies when it’s time to relax. To match the display, the insides of the Tab S3 are likewise quite impressive. 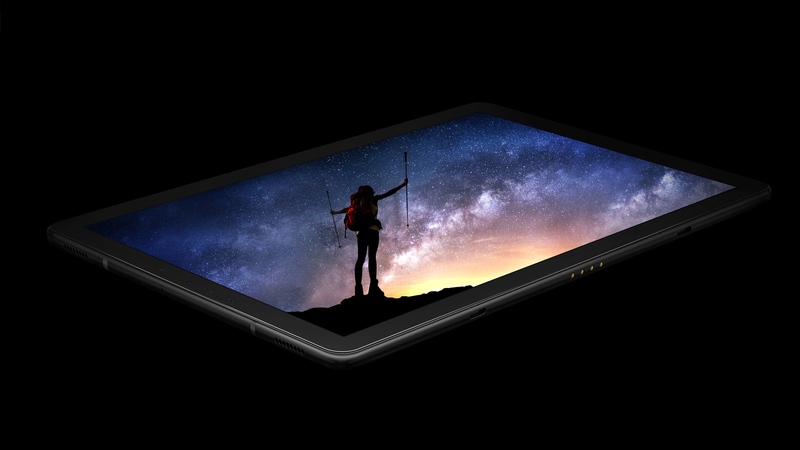 It uses a quad-core 2.15 GHz chipset with 4GB RAM for that pleasing performance, and a microSD slot good for an extra 256GB of storage to expand the tablet’s 32GB internal capacity. If you’re in the market for an unrivalled tablet experience, then the forthcoming Galaxy Tab S4, scheduled to land in South Africa later this year, is what you need. It pulls no punches and should be viewed as the tablet equivalent of the Samsung Galaxy Note 9 smartphone. As such, it’s aimed at those who place a premium on productivity. The Tab S4 is slightly bigger than the other options on the list: it has a 10.5″ display that sports a brilliant 2 560 X 1 080 resolution. A powerful Qualcomm Snapdragon 835 processor powers its performance, and a model with 256GB onboard storage is in the offing. Add to this an improved S Pen stylus and a range of accessories designed to help users to do more work, and you have a sophisticated, highly-capable tablet on your hands. The Book Cover keyboard (sold separately) that turns the Tab S4 into a notebook computer equivalent makes it a tablet truly without compromise. For more information, point your browser to www.samsung.com.